Ever wondered where you really come from? As a historian, that’s been a large part of my journey with HeritageDaily. Discovering the past and a journey discovering myself. So here’s a little about me… I run HeritageDaily from my flat in North London. Born in Norwich, I grew up in the concrete paradise of Stevenage. One half of my family comes from Scotland, but if you research back far enough they probably emigrated from Ireland during the potato famine. My Mothers side is English (My Nan’s maiden name was even “England”), with a researched family genealogy tree stretching back to the Norman conquest of 1066 and possibly Viking ancestry beyond. 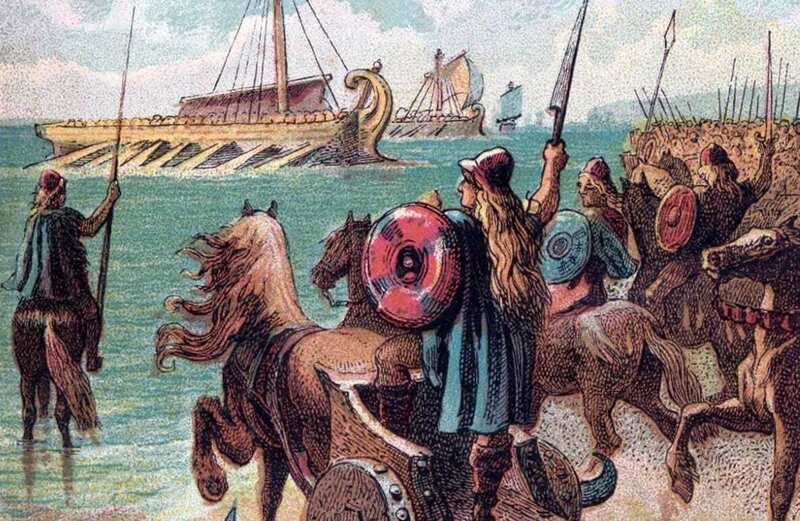 The most notable of distant ancestors we’ve researched was Herluin de Conteville (1001–1066) who was the stepfather of William the Conqueror, and the father of Odo of Bayeux and Robert, Count of Mortain, both of whom became prominent during William’s reign. So how can DNA testing shed some light on my past? With various DNA testing kits now available, Ancestry.com was kind enough to send a sample kit that should answer some questions or possibly create 1000 more! Their process uses autosomal testing on DNA which is inherited from the autosomal chromosomes. 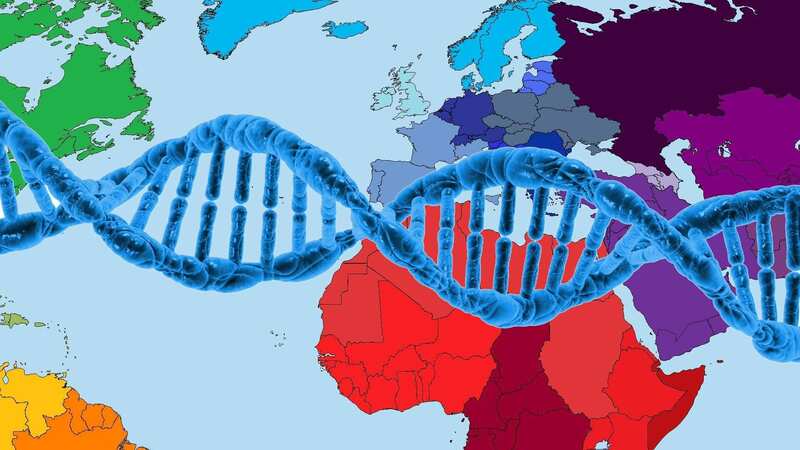 Rather than focus on just a man’s patrilineal line of ancestry using a Y chromosome (Y-DNA) test, or matrilineal ancestry using a Mitochondrial DNA test (mtDNA test), the Autosomal DNA test traces all of my families ancestral history. The test then cross-references my genome to 700,000 geographical locations and tries to identify which of the 350+ globally distributed regions my ancestors may have lived. So it looks like my DNA is more or less from this soggy wet Island with a focus on the Midlands and Yorkshire area. Surprisingly, much higher than the average UK resident of 36.94 per cent British, 21.59 per cent Irish and 19.91 per cent Western European. 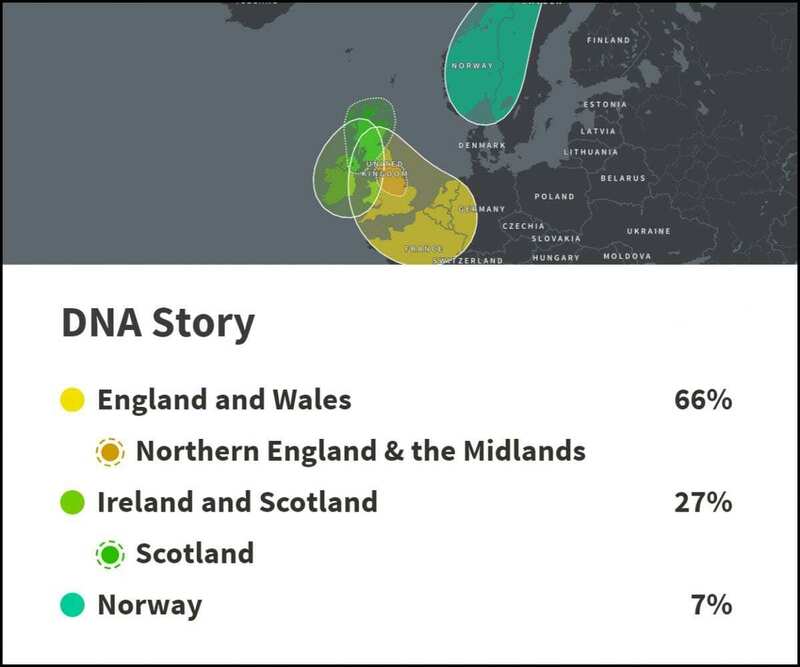 Well no.. Whilst there is strong evidence to suggest that my DNA is mostly without outside influence throughout history and does indeed originate from the British Isles as a distinct DNA variation that encompasses these geographical pockets. The genetic community association of the Midlands is a result of comparing any distant family members who share some of the same DNA markers (in this instance, there are 576 4th and distant cousins located around the Midlands Yorkshire area), but this localised distinct variations are most probably from just the past few hundred years when the region’s population exploded due to the industrial revolution. So is this DNA test trustworthy? Well….. yes and no….the algorithm the test uses to compare data sets won’t be able to tell if i’m the rightful heir to the English crown based on a DNA percentage analysis against data groups, nor determine if i’m descended from a tribe of Mesolithic hunters who had a taste for Mammoth meat in Doggerland. But, it does give an interesting glimpse into my past that I never thought possible, reinforcing some of the beliefs we had about my families origins and more surprisingly, connect me to my present with the discovery of cousins and distant family today.